The Bussey Family: Do You Need Help Cooking Those Ribs? 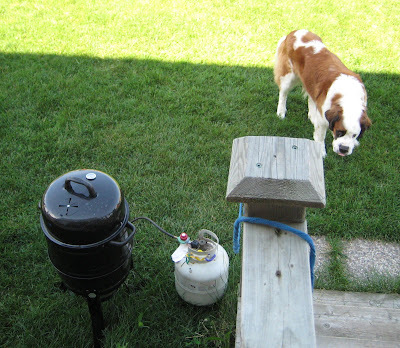 Arnie, ever vigalent, is keeping an eye on the smoker to make sure nothing happens to the ribs. Even the heat and humidity don't discourage him. Posted by PB at 9:06 p.m.